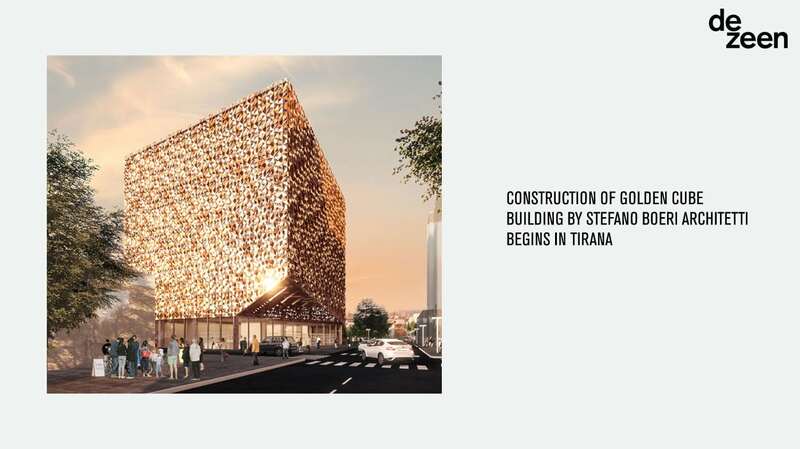 On Dezeen Blloku’s Cube designed by Stefano Boeri Architetti and now under construction. The new mixed-use seven stories building will host offices, shops and a restaurant on the top, all enveloped in a dynamic three-dimensional cladding. A shining double skin composed by an anodized aluminium triangular pattern that contributes to the energy efficiency of the building and to create a dynamic game of lights and reflections, as well as making it a landmark in the historic neighborhood of Blloku.